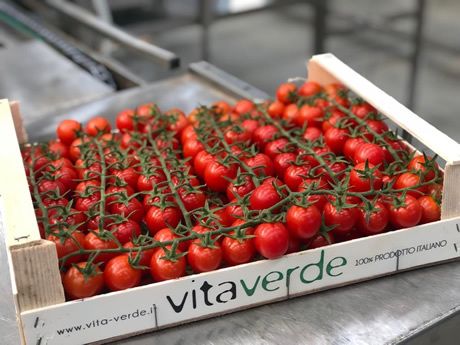 "Customers keep coming back for Sicilian tomatoes"
Vita Verde in Noordwijk (in the Netherlands) is exclusively importing tomatoes directly from the growing operation in Sicily for the third year in a row. Frits de Mooij: "In the beginning it was hard competing with, for example, Moroccan tomatoes, but now the customers are starting to see the added value of quality and taste of the Sicilian product, and they come back every week." 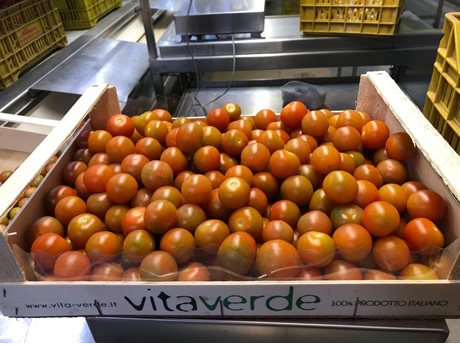 Vita Verde - which solely specializes in the import and export of Italian vegetables - is supplied with fresh tomatoes twice a week from Sicily. 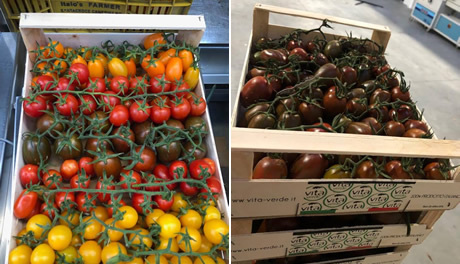 New this year is that the company is testing with four different varieties yellow, orange, brown, and red cherry tomatoes in a wooden crate. Frits: "The wooden packaging has an authentic look, and we get a lot of positive feedback about it. The product sells itself. Next year we hope to grow even further." "When the Dutch tomatoes arrive on the market, we are done. But I expect to be able to continue to April. We have customers for the Sicilian tomatoes all over Europe, and many customers directly load them. All in all, it is a great product for us to work with. We receive beautiful, stable quantities, and the customers keep coming back. What else would you want?"